While trying to keep things light and healthy, I make a fair amount of chicken. Boneless chicken breasts are not very forgiving. Just a minute past perfect, breast meat will become dry and unappetizing. With everyone’s understandable concern that chicken be cooked to the proper temperature, overcooked white meat happens more often than not. I’ve grown to love chicken thighs, which stay juicy and flavorful whether braised, grilled or roasted. Give your boneless breasts a good beating to even out their thickness. This is a great trick that results in even cooking times. You want them to be about 3/4 of an inch thick. If they’re really huge you can butterfly the breasts, open them like a book and then give them a gentle whacking. Marinate the breasts in advance, even overnight. It will help impart lots of flavor. 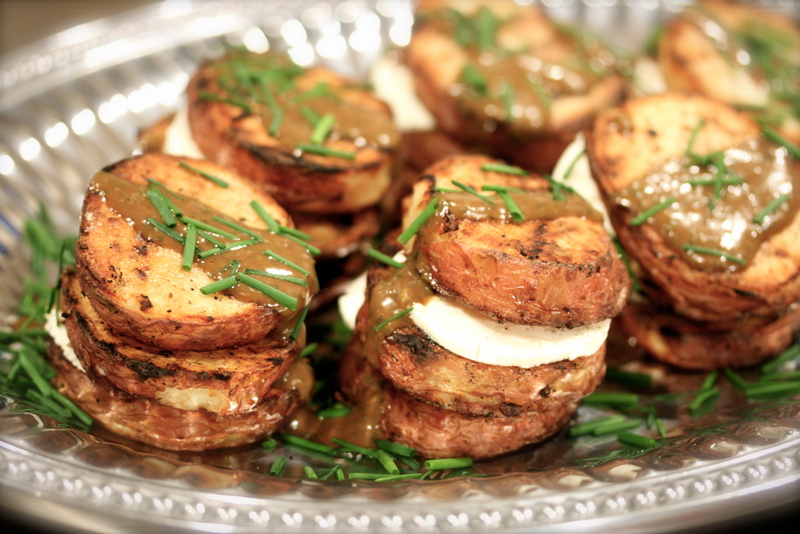 This is a great weeknight dinner for spring and summer when vegetables are at their peak. You can use any combination of veggies your family likes. 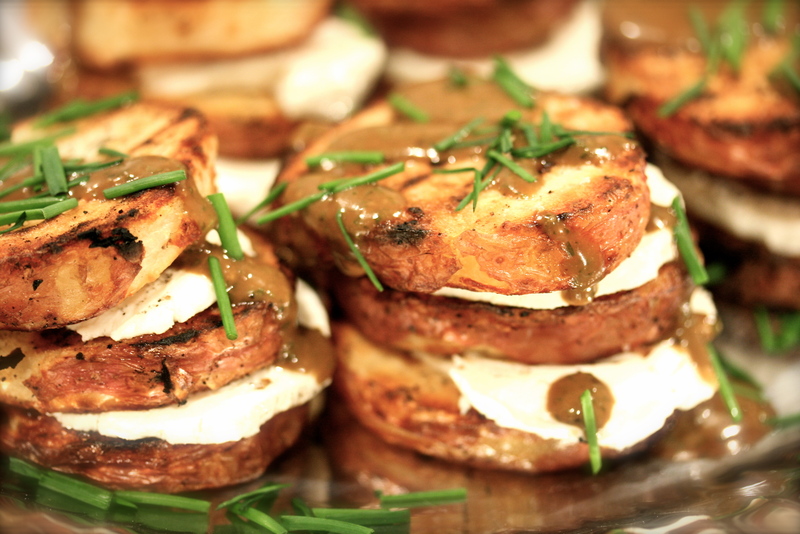 Even grilled vegetables like eggplant (my favorite), would be a delicious addition to the sandwich. Make extra. The leftovers are fantastic. Pound the chicken breasts to an even thickness, not too thin. About 3/4 of an inch is perfect. I usually place the chicken between two pieces of plastic wrap or you can use a Ziploc bag. Use the flat side of a meat tenderizing mallet or even a rolling-pin. Combine all the marinade ingredients in a baking dish or Ziploc bag. Place the chicken in the marinade and turn the pieces to coat evenly. Cover and marinate for 2 hours or overnight. Preheat your grill. Remove the chicken from the marinade and pat it dry to remove excess marinade, which will just flare up and scorch on the BBQ. Grill the chicken for about 4-5 minutes per side, or until cooked through. Use a meat thermometer to check for doneness. 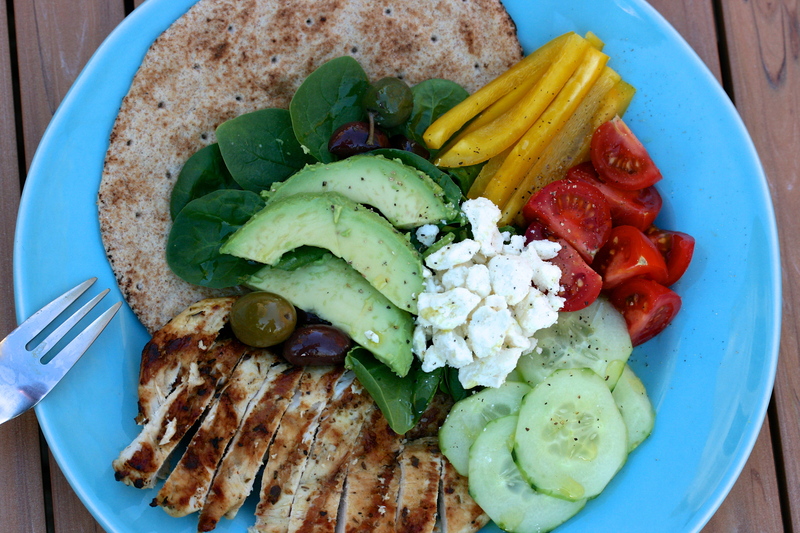 Serve all of the above at the table with the chicken and allow everyone to make their own pita sandwich. A schmear of hummus and a little tzatziki will top off the Mediterranean flavors of this perfect sandwich. Leftovers make a delicious lunch the next day. 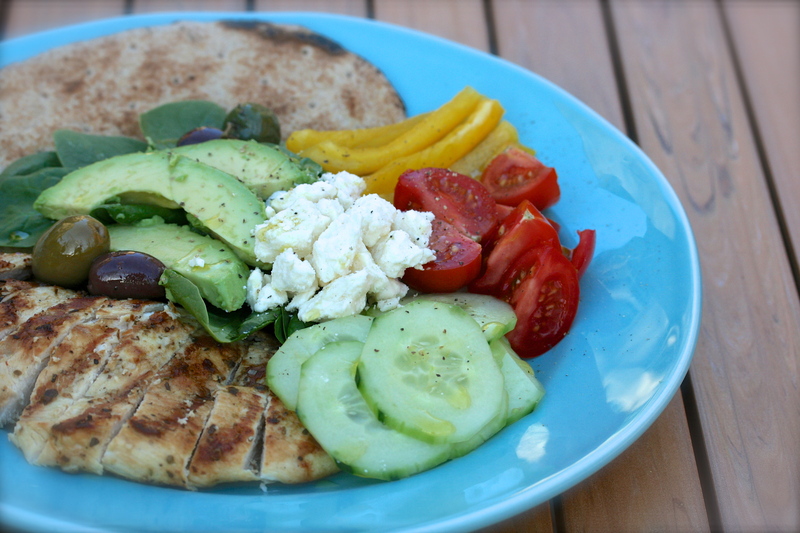 * Grill the pita for a minute or two per side to make them soft and impart a little of that grilled flavor.